A blockbuster deal from Burgundy! Instead of the next $19.99 Sancerre or Domestic Chardonnay you add to your cart ... grab a few bottles of this ... or a case!!!! Sorry, this deal is no longer available. The price shown is the current price. That quote really sums this up perfectly!! 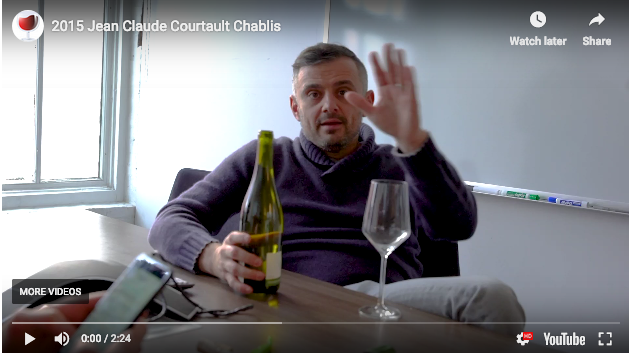 Watch the video below as the former host of WinelibraryTV, Gary Vaynerchuk, tastes the blockbuster Burgundy on deal today! Huge Press: 92 Points from Wine & Spirits and 91 Points from the Wine Spectator! Talk about big time press! Both the Wine Spectator and Wine & Spirits issued big time press to this outstanding effort from Jean-Claude Courtault. Jean-Claude Courtault is a native of Touraine in the Loire Valley and came to France in the mid 1970's. In 1984, JC Courtault seized the chance to buy 1.5 hectares of 4 year old vines in the Chablis area. 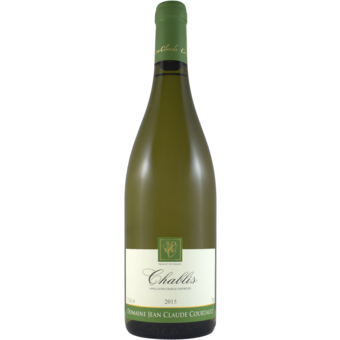 Next, he rented a plot of land also in the Chablis appellation, which he then planted with the help of his wife, Marie-Chantal. And so the Estate Jean-Claude Courtault was born. Ever since, JC has been perfecting his craft which he now shares with his daughter Stéphanie and her husband Vincent Michelet. The Domaine now has 20 hectares and produces Petit Chablis, Chablis, Chablis Premier Cru, Chablis Grand Cru. All in all, this is a tremendous Burgundy offer that literally has it all! Incredible press, an outstanding price and a free shipping bonus by the case! Want to be notified about deals like this? Sign up and get updates in your inbox. When you purchase a Library Pass, you get a year's worth of free ground shipping from Wine Library.